These results from a recent Pew Research poll show just how important wording is when it comes to gauging public opinion. 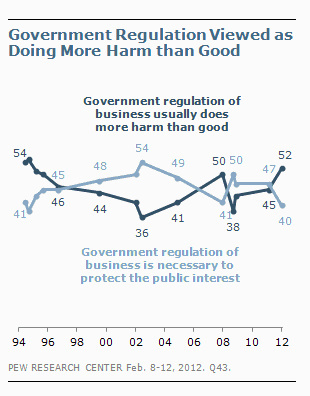 If you ask Americans whether government regulation of business does more harm than good, most agree. 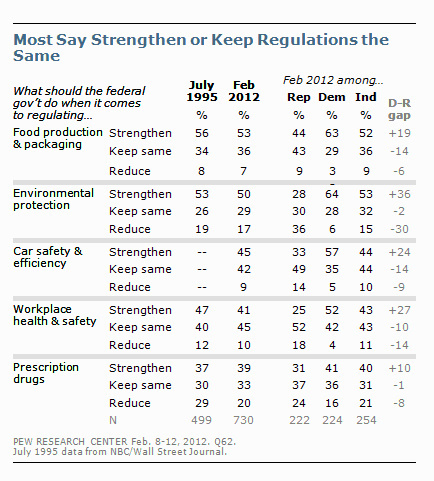 However, if you ask Americans whether they think specific types of government regulations should be reduced, kept the same or increased, Americans OVERWHELMINGLY want the same or MORE government regulation, NOT LESS.